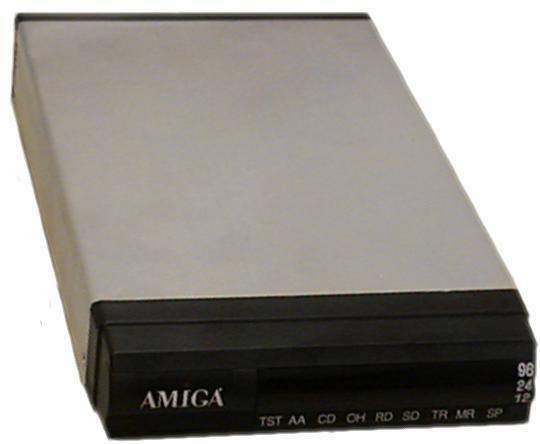 This is an external Amiga branded modem which was supplied with some of the A1200 Surf Packs which were released during the reign of Escom/Amiga Technologies. The modem itself is simply a rebadged 14k4 FAX modem which was made by a Taiwanese firm called Aceex. Apparently not all Aceex modems sold in the Surf Packs had been rebadged with the Amiga label. Please see another Amiga branded modem.